Cross-selling is a way to offer additional items to your clients based on the items selected in their booking cart. By recommending extra items that benefit your clients, you can not only increase your revenues but also optimise the user journey for your customer. 1. Suggest a Yoga Lesson for clients who are booking a private room. 2. Suggest a Wetsuit rental for clients who have a booked a Surf Lesson. 3. Suggest a Guided Tour to clients who are booking more than 7 nights. 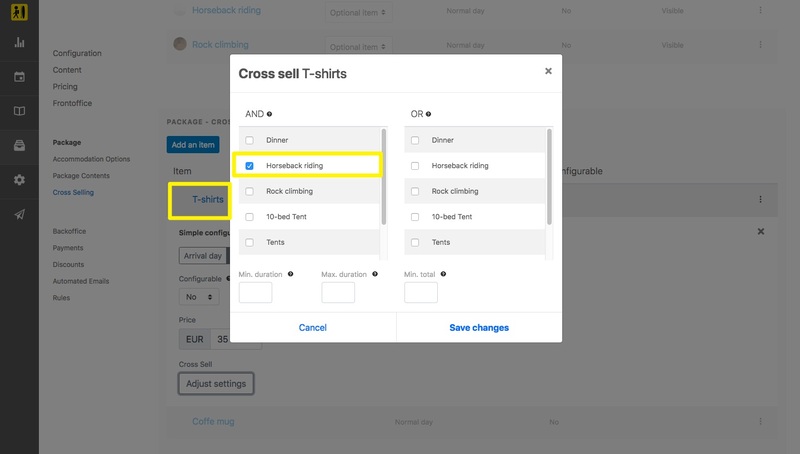 You can add cross-selling items to your packages, on specific pre-defined conditions. and navigate to the cross-selling section using the left side menu. 4. 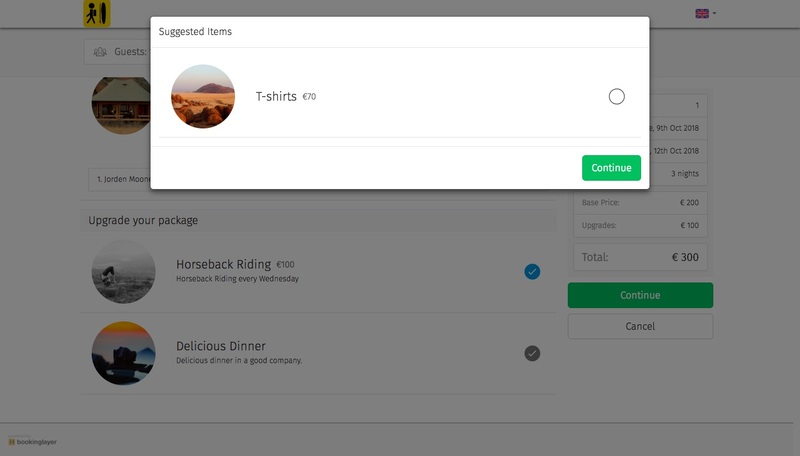 Click on Add an item and add the items you want to offer as a cross-sell. 5. 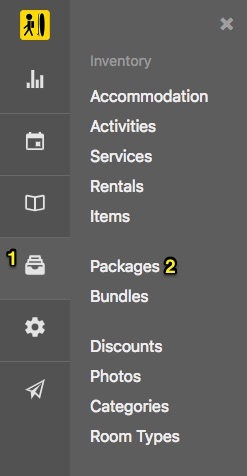 You can trigger the cross-selling item based on your packages' content (set up conditions based on "OR" or "AND"). AND means all package items that you choose here must be chosen by the guest in order for the cross-selling item to appear. OR means that any of the chosen package items, if chosen by the guest, will trigger the cross-selling item to show. 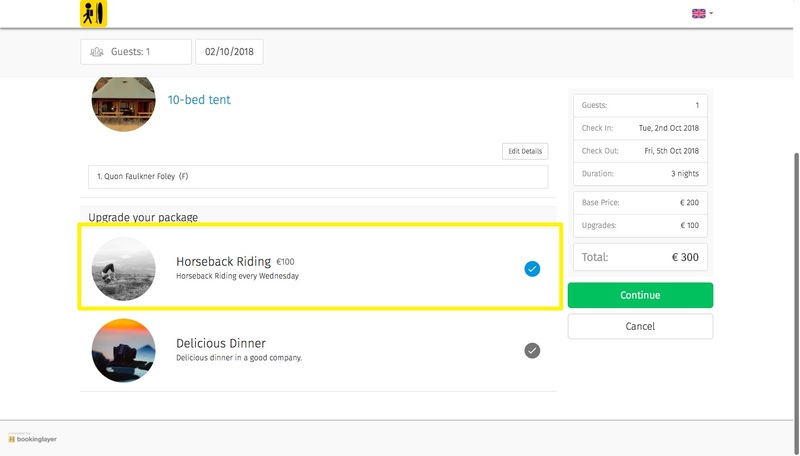 i.e: In the package below, we will only show the cross-selling item (T-shirt) for people who book both the "Horseback riding." You can also trigger the cross-selling item according to the minimum number of nights or minimum amount spent. 6. 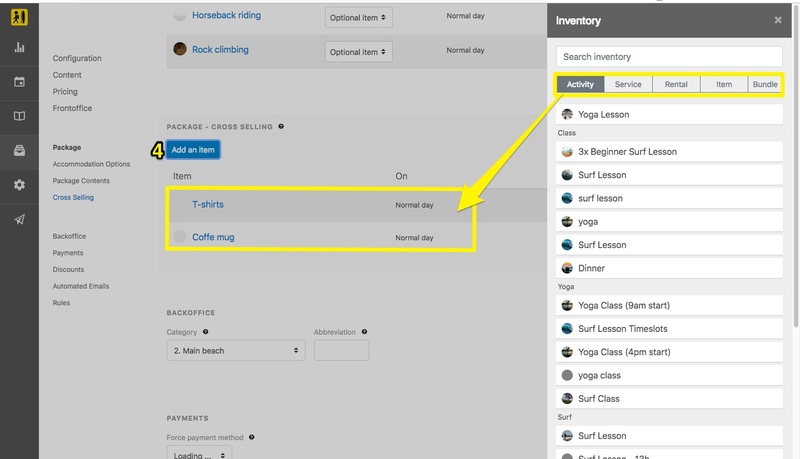 After your users click on the Book button, a suggested items section will appear with your cross-selling items based on the conditions you previously set up. 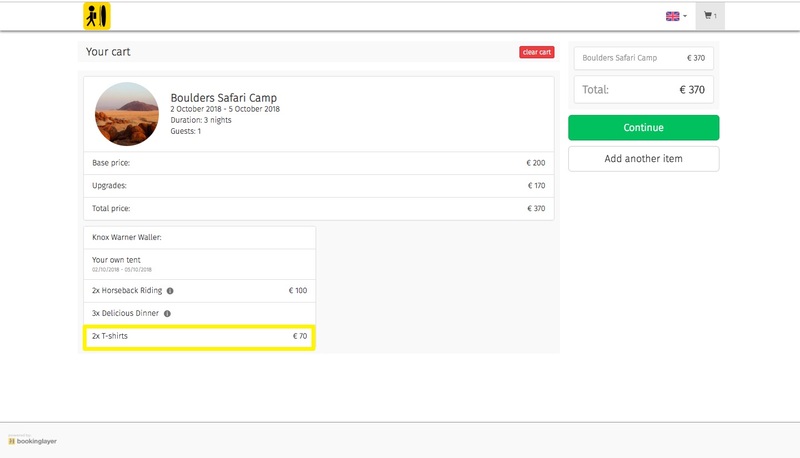 If the user selects the cross-selling item, this item will be automatically added to their booking order. Please note that you can add more than one item to the cross-selling section, with individual settings.